SKU: N/A. Category: Offset & Digital Printing. Tags: Rolodex Cards Albany New York, Rolodex Cards Annapolis Maryland, Rolodex Cards Atlanta, Rolodex Cards Atlanta Georgia, Rolodex Cards Augusta Maine, Rolodex Cards Austin, Rolodex Cards Austin Texas, Rolodex Cards Baltimore, Rolodex Cards Baton Rouge Louisiana, Rolodex Cards Bismarck North Dakota, Rolodex Cards Boise Idaho, Rolodex Cards Boston, Rolodex Cards Boston Massachusetts, Rolodex Cards Carson City Nevada, Rolodex Cards Charleston West Virginia, Rolodex Cards Charlotte, Rolodex Cards Cheyenne Wyoming, Rolodex Cards Chicago, Rolodex Cards Cincinnati, Rolodex Cards Cleveland, Rolodex Cards Columbia South Carolina, Rolodex Cards Columbus, Rolodex Cards Columbus Ohio, Rolodex Cards Concord New Hampshire, Rolodex Cards Connecticut, Rolodex Cards Dallas–Fort Worth, Rolodex Cards Denver, Rolodex Cards Denver Colorado, Rolodex Cards Des Moines Iowa, Rolodex Cards Detroit, Rolodex Cards Dover Delaware, Rolodex Cards Frankfort Kentucky, Rolodex Cards Harrisburg Pennsylvania, Rolodex Cards Hartford Connecticut, Rolodex Cards Helena Montana, Rolodex Cards Honolulu Hawaii, Rolodex Cards Houston, Rolodex Cards Indianapolis, Rolodex Cards Indianapolis Indiana, Rolodex Cards Jackson Mississippi, Rolodex Cards Jefferson City Missouri, Rolodex Cards Juneau Alaska, Rolodex Cards Kansas City, Rolodex Cards Lansing Michigan, Rolodex Cards Las Vegas, Rolodex Cards Lincoln Nebraska, Rolodex Cards Little Rock Arkansas, Rolodex Cards Los Angeles, Rolodex Cards Madison Wisconsin, Rolodex Cards Miami, Rolodex Cards Minneapolis–St. Paul, Rolodex Cards Montgomery Alabama, Rolodex Cards Montpelier Vermont, Rolodex Cards Montreal, Rolodex Cards Nashville, Rolodex Cards Nashville Tennessee, Rolodex Cards New York, Rolodex Cards Oklahoma City Oklahoma, Rolodex Cards Olympia Washington, Rolodex Cards Orlando, Rolodex Cards Philadelphia, Rolodex Cards Phoenix, Rolodex Cards Phoenix Arizona, Rolodex Cards Pierre South Dakota, Rolodex Cards Pittsburgh, Rolodex Cards Portland, Rolodex Cards Providence Rhode Island, Rolodex Cards Raleigh North Carolina, Rolodex Cards Richmond Virginia, Rolodex Cards Riverside-San Bernardino, Rolodex Cards Sacramento, Rolodex Cards Sacramento California, Rolodex Cards Saint Paul Minnesota, Rolodex Cards Salem Oregon, Rolodex Cards Salt Lake City Utah, Rolodex Cards San Antonio, Rolodex Cards San Diego, Rolodex Cards San Francisco–Oakland, Rolodex Cards San Jose, Rolodex Cards Santa Fe New Mexico, Rolodex Cards Seattle, Rolodex Cards Springfield Illinois, Rolodex Cards St. Louis, Rolodex Cards Tallahassee Florida, Rolodex Cards Tampa–St. Petersburg, Rolodex Cards Topeka Kansas, Rolodex Cards Toronto, Rolodex Cards Trenton New Jersey, Rolodex Cards Vancouver, Rolodex Cards Washington, Rolodex Cards Washington DC, custom Rolodex cards Printing, full color Rolodex cards Printing, perforated Rolodex cards Printing, Rolodex cards Printing, Rolodex cards Printing manhattan, Rolodex cards Printing nyc, Rolodex cards Printing services..
Rolodex Cards are a traditional means of storing contact information. It helps everyone in the office locate numbers quickly. 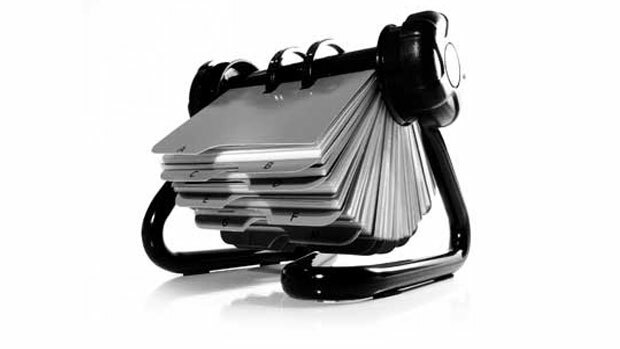 But even in the present internet era, the importance of rolodex cards yet not diminished. 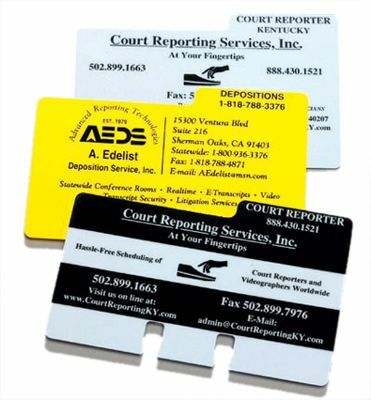 What better way to stand out in the midst of all those numbers, than to provide your clients with a customized rolodex card with your logo on it. Rolodex Cards are a unique, affordable marketing tool that can help you stand out from the competition! Provide your clients with personalized cards and ensure your contact details are always in front of them. Use always full-color offset, digital and High-quality printing on multiple premium paper stocks. Several coating options are also available. When you order from Advantage Promotions, you receive our design service! That helps you to design your product with a great looking design that conveys your marketing message in the most effective way possible. In the highly competitive world of business, appearance counts! For this reason, one of the leader in the printing industry, Rebecca Printing now offering quality printing services at most reasonable rate. Get our custom made Rolodex Cards for your business and keep your contact information in front of your clients at all time! 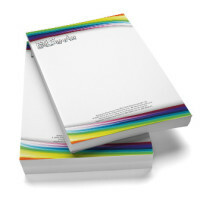 Choose from a variety of card colors, ink colors, logos and fonts.